Taking Recommendations to Task | Robert P. Heaney, M.D. ← Change Your Oil, Ma’am? Experts disagree with a federal task force’s findings on the benefits of calcium and vitamin D supplementation. Late in February 2013 the U.S. Preventive Services Task Force (USPSTF) issued recommendations that have rained on the parade of those of us concerned with optimizing health with vitamin D supplements and adequate dietary calcium intakes. Or so it would seem, at least from the headlines in the news stories. 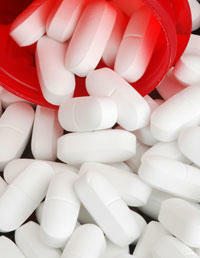 The recommendations were interpreted to have said that most of us shouldn’t take calcium and vitamin D supplements. What the Task Force actually said was that they couldn’t find enough evidence to evaluate the balance of possible risks and possible benefits from vitamin D supplements when taken to prevent fractures in the fragile elderly. Accordingly, they could make no recommendation. Most experts actively working with vitamin D disagree with that statement. There is, in fact, an abundance of evidence that vitamin D supplementation does help prevent factures. But whether or not such evidence exists, it’s important to note a curious feature of the Task Force report. They had previously recommended vitamin D supplementation for the prevention of falls in older adults, and they restated that recommendation in this most recent release. In a sense, therefore, the new recommendation on fractures is moot, because individuals already taking the vitamin D needed for the prevention of falls will automatically get whatever fracture benefit may be associated. In virtually so many words the Task Force said: “We can’t recommend supplements for fracture prevention, but we do recommend them for reducing risk of falls.” Both statements apply to the same group of individuals – fallers who thereby fracture. How can it be that the Task Force finds the evidence inconclusive, while vitamin D experts find it persuasive? The most likely reason is that the Task Force relied in part on what are called systematic reviews, which attempt to pull together all the “relevant” literature. The problem is that systematic reviews are compiled by individuals expert in clinical trial execution, but not, unfortunately, expert in vitamin D biology. So they don’t automatically know which studies are relevant and which are not. That’s clear from the fact that the reviews on which the USPSTF relied actually included several large studies that were not adequately designed to evaluate whether vitamin D might reduce fracture risk. Not being expert in vitamin D biology, the reviewers didn’t know that. The USPSTF itself has no members who were expert in vitamin D, so they, too, didn’t recognize the problem created by including such studies in the reviews they relied on. In point of fact, if the reviews had been confined to properly designed studies, the evidence would have been crystal clear: vitamin D and calcium do reduce fracture risk in the elderly. And they do so safely. Unfortunately, as just noted, none of the 17 members of the Task Force is an expert in vitamin D biology. Perhaps therefore they can be excused for not knowing that the levels of vitamin D commonly being used today barely reproduce what our grandparents got from their greater time outdoors. And even that is well below what would have been the vitamin D intake of early humans living in East Africa, where sunshine produced vitamin D year round. One should have thought that the proper approach would have been to recommend supplementation to the level of the ancestral intake and to shift the burden of proof to those who say that lower intakes are safe. But that’s not the approach the Task Force took. It’s helpful also to remember that the Task Force is a very conservative group – by intention – and is mostly concerned not with nutrients, but with medical interventions, particularly diagnostic tests such as mammograms, colonoscopies, and prostate cancer screening. It’s relatively straightforward to evaluate the effectiveness of such medical tests. You look at the totality of outcomes in individuals who have had the tests and compare them with those who haven’t (the control group). With mammograms or prostate cancer screenings, for example, there is not only the benefit of early detection, but the downside risk of radiation and surgical damage, affecting everybody, even those who didn’t have a cancer and therefore would not have benefitted (but might have been harmed). But with nutrients like vitamin D, it’s another question entirely, since there is no true control group. Everybody gets some of every nutrient, and the question is not whether a particular nutrient is efficacious, but how much must we have to ensure optimal health. The kind of evidence the Task Force applies, for example, to screening for disease is not well-suited to answer such a question. Another note of caution. The Task Force approach presumes that we’re all the same. A study that failed to find an average effect greater than one would expect from random chance alone, is deemed “negative”. But the groups of people studied may well have contained, for example, subgroups of individuals who responded strongly to the intervention, while the majority didn’t respond at all. The Task Force doesn’t look at whether it works in some individuals. Instead its focus is what may be the balance of risks and benefits for the whole U.S. population. Fortunately downside risk is not much of an issue with nutrients. So, if only one-fourth of the population benefits from extra vitamin D (but we don’t know which fourth that is), the real question is does the extra vitamin D hurt the other three-fourths who may get no additional benefit? The answer is “No”. The safety profile of vitamin D is actually very good, so long as one does not exceed the tolerable upper intake level promulgated recently by the Endocrine Society of the United States (10,000 IU/d). Should we all stop taking vitamin D? My family and I don’t plan to. This entry was posted in Calcium, Nutrition, Vitamin D and tagged bone health, calcium, guidelines, supplements, U.S. Preventive Services Task Force, USPSTF, vitamin D. Bookmark the permalink.